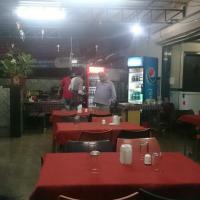 I live in Kharadi and PapaJee’s is in Chinchwad. Having read so many good reviews this place was in my list of places to visit. So today while returning from Lonavala thought of giving this a try and it didn’t disappoint for sure. 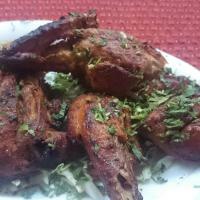 Half Tandoori Chicken – 4/5, could have been a bit more tender to take it towards perfection but the marinade was good, quantity was fair enough for two. 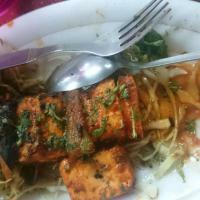 Amritsari Paneer Tikka – 5/5, it was a fine preparation with Paneer being soft but Tandoored very well, really liked it. Again quantity was fine for two. Better butter chicken -4/5, This is what they call the dish and it was certainly better than most places in Pune but I have had slightly better preparations in couple of restaurants in Pune almost at the same price. However this has nothing to take away from PapaJee’s butter chicken it was a good preparation. 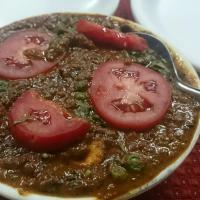 Matar Paneer – 3.5/5, this was the preparation we liked the least but this rating still shows that the item we liked least was still above average 🙂 The gravy was quite alright but the spoiler was the Paneer which was fried just a bit more than the chef would have liked. 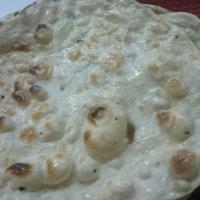 Butter Tandoori rotis tasted great with butter chicken and we liked it. We also had sweet lassi – 4/5, which was quite good and thick. Coming to the ambience part of things I believe they are still an upcoming restaurant and a very good one at that and being a start up they are right now concentrating to win hearts with their food and for me food and taste is the ultimate quality in an eat out and it’s a thumbs up in that department for sure. For Ambience I am sure they would like to improve and I guess they ultimately will but it looked alright with an open kitchen concept. Also happened to have a word or two with Sunny bhajee and an elderly Gentleman. I saw that both were very committed towards how the customers were being served and were giving their suggestions on what to order and looking after people.